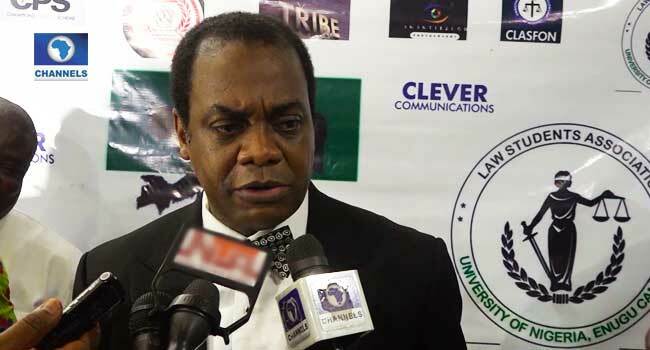 The former governor of Cross River State, Mr Donald Duke, has declared his interest to contest for the Office of President in the upcoming 2019 general elections. He made his intentions known while speaking at the annual Law dinner of the University of Nigeria, Anambra State on Friday (June 8). While speaking on the topic ‘Nigeria In Clear and Present Danger’, he explained that although he wasn’t yet sure of the platform with which he will be contesting, he was convinced that it was time to make a move towards addressing Nigeria’s. He also stated that “will and strategy” are major components needed to ensure all-round national development. “I am putting myself forward for the president of the Federal Republic of Nigeria. “I’m not going to sit back any longer and postulate. And I want each one of those young people there to be part of it. That’s why I urge them to go and get their voter’s card and be part of this society. “Don’t be onlookers any longer, this is not a football match where you sit in the audience and cheer and grumble. Get unto the field and take part. “I’m not going to sit back, I’m going to take part,” he asserted. Mr Duke who is currently a member of the Peoples Democratic Party (PDP), was one of those who welcomed the Coalition For Nigeria Movement by former President Olusegun Obasanjo In February. He was also one of those who witnessed the formal registration of the former president (Obasanjo) as a member of the group, which he had called for to save Nigeria from the myriad of challenges it is facing.